You probably already know about the Parliamentary Inquiry into the impact of FIFO work practices on mental health. This inquiry came about due to concerns about the issues of mental health for FIFO workers and the suspected nine suicides of FIFO workers in the Pilbara in a 12 month period. You can read about the 30 key recommendations in the blog here. One of the many groups that support the recommendations made by the Parliamentary Inquiry is the Australian Medical Association (AMA). “The recent inquiry into the mental health of FIFO workers recommended the development of a code of practice to address FIFO workers’ wellbeing. This needs to be implemented as soon as possible,” Dr Gannon, President of AMA (WA) said. See the AMA Response here. The AMA supports the recommended changes to legislation to ensure workplace health and safety requirements apply to workers in both FIFO accommodation and while working shifts. 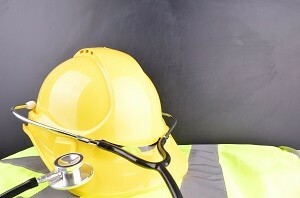 “Like all workplaces in Australia, mining companies are legally obligated to provide a safe workplace,” Dr Gannon said. There are many ways in which the sector can look at creating a mentally healthy workplace, including industry conferences and training. It was therefore disappointing to hear that the annual Diggers and Dealers conference in Kalgoorlie did not talk about the health impacts of the FIFO lifestyle, especially mental health. “This is a pressing issue that needs to be properly addressed, not ignored by the industry,” Dr Gannon said. At This FIFO Life we hear of many fabulous ways that FIFO workers and their families work hard to make their FIFO life a good one, like Amy the FIFO Wife, but as Dr Gannon said, “Both mining companies and the Department of Mines and Petroleum need to be more involved in providing a safe workplace for FIFO workers”. So while there’s no magic pill to instantly fix the challenges of the FIFO lifestyle, it is important for FIFO workers to have the support of the community and groups such as the AMA in working towards the recommendations from the Parliamentary Inquiry being acted on.